When you just want to stay inside and do crafts, pull up one of these home craft ideas. All of them are simple. And most of them can even be made into DIY gifts! 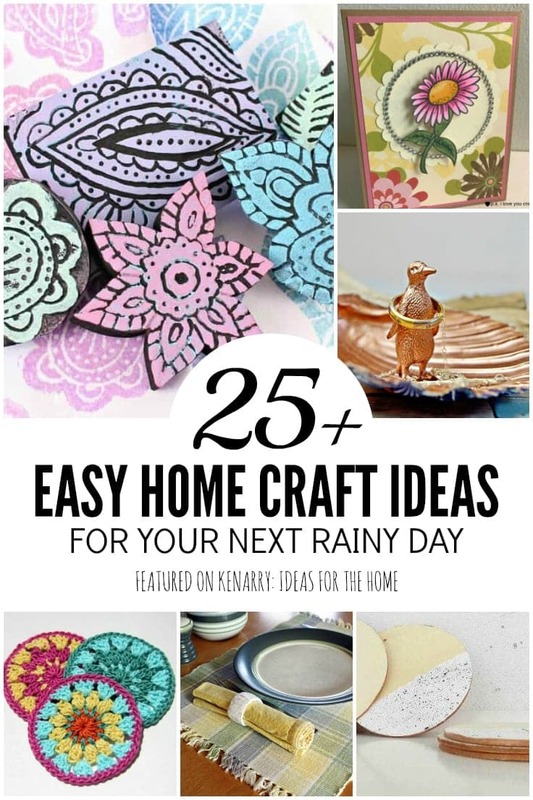 Easy home craft ideas are just what you need for snow days, rainy days or those days when you just don’t feel like venturing out of the house. You know those days…when all you want to do is gather your craft supplies together and make something. Whether it’s the snow or the rain – or even just a day where you want to stay inside for no reason at all – it’s always a good time to craft. 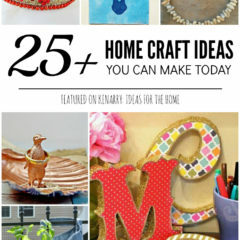 Bloggers from near and far submitted their home craft ideas to us and gave us permission to share them with you. Go visit their sites and find something new to make today. 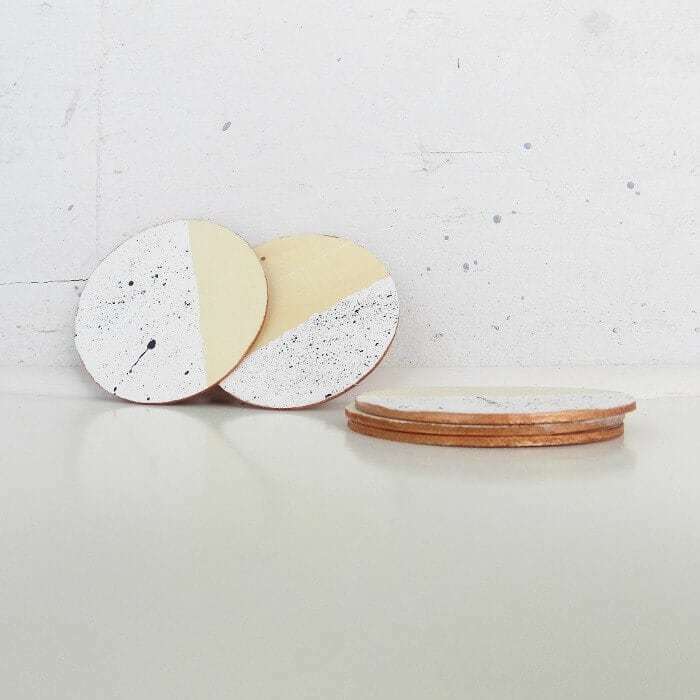 These adorably rustic coasters were inspired by West Elm Rain Coasters. You can customize the colors to fit your home’s decor. They make excellent wedding gifts. Turn branches from your backyard into fun, colorful buttons for all of your DIY projects! This is a fun home craft idea to do with kids. 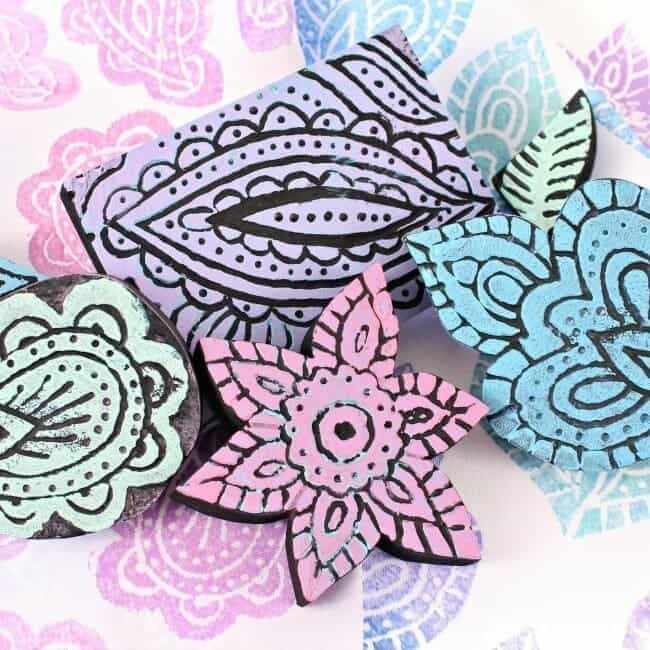 These handy dandy air freshener discs made with baking soda and essential oils smell fantastic and will help with smells around the house, office or in the car. Sometimes a little decorative touch can totally transform something mundane into something rather remarkable. It can add the wow factor. Putting the map on the inside instead of the outside is super unique! 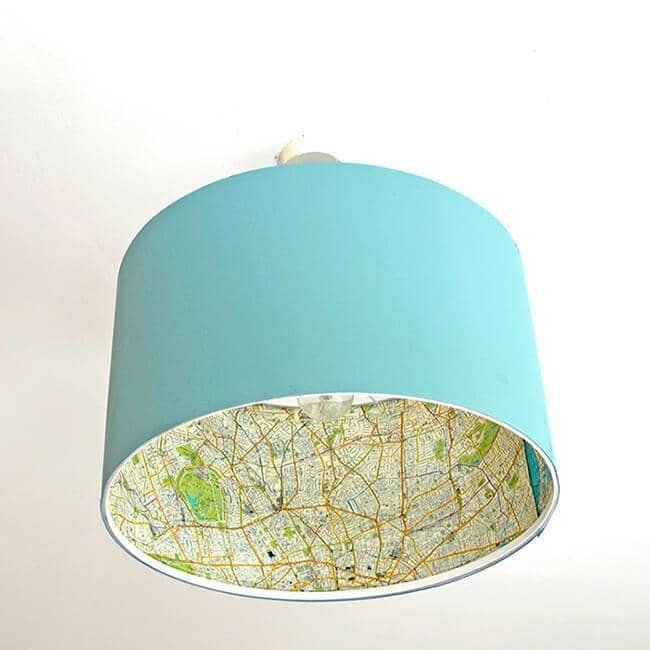 Therefore you get a hint of map when you look up at these ceiling lamps. Instead of a boring white inside you now see a cool map. 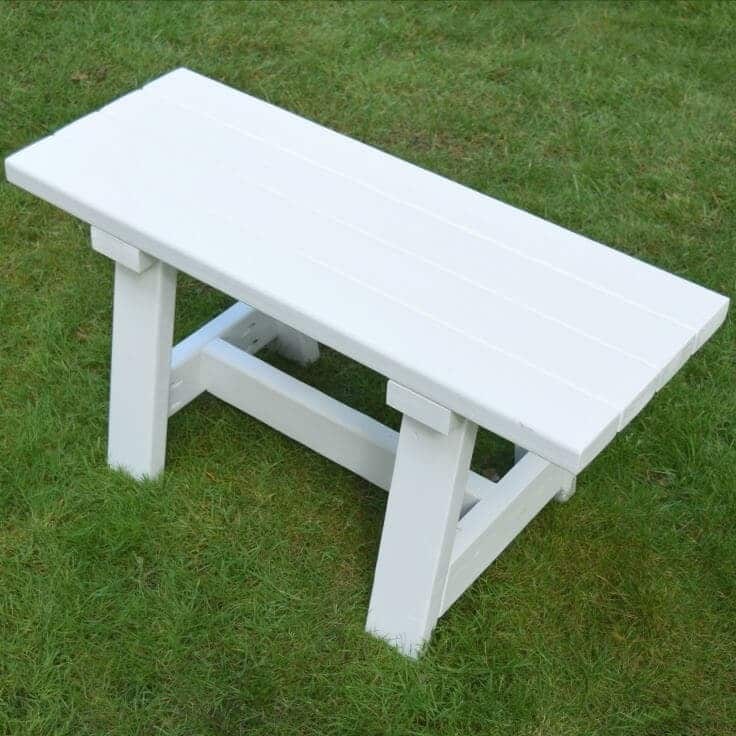 Can you believe this DIY farmhouse bench only costs around $15 to build?! This is a great project for all those 2×4 scraps you might have lying around. These DiY raffia napkin rings are super easy to make with one secret supply that you already have at home. 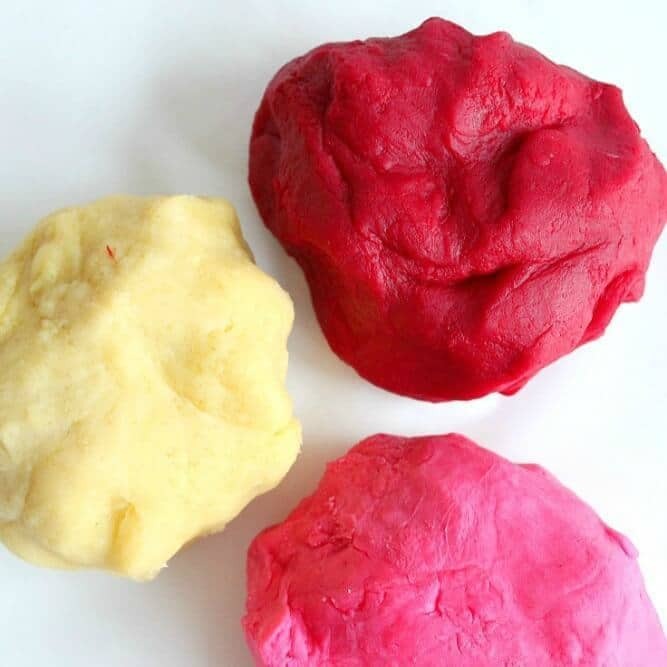 These are so simple, but the results are fabulous and you’ll want to make them in several colors to match your home décor. 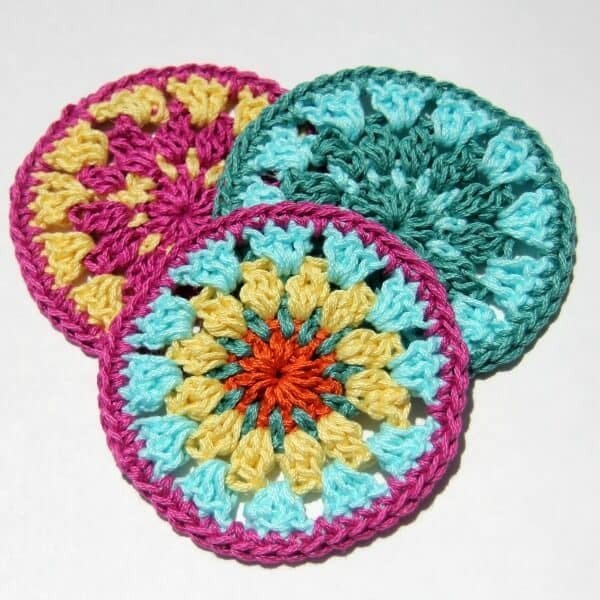 This colorful coaster is easy to crochet. An experienced crocheter might be able to whip up a whole set in an afternoon, but this home craft idea will go quickly even if you’re a beginner. You can use a different color for each row for a vibrant coaster, or just use one or two colors. 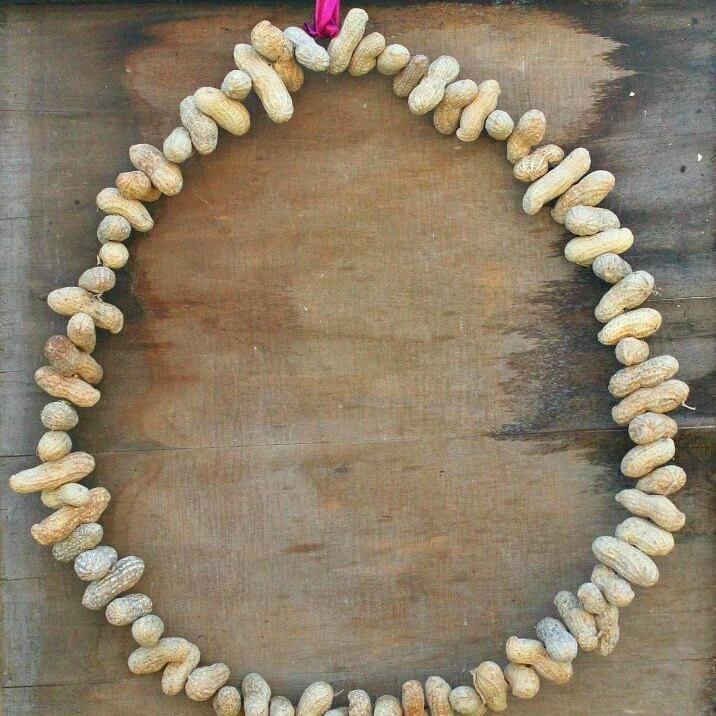 Make this fun and easy bird feeder wreath to keep birds happy and healthy. 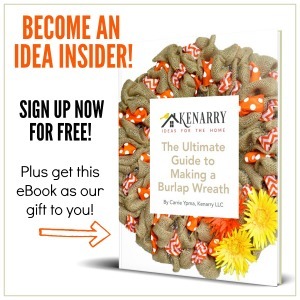 It’s a 10 minute project that makes a great gift too! Spray painting on glass is an easy DIY project, but there are a few tips and tricks to getting a smooth finish. This post has some tips for using spray paint on glass so that when you’re ready to tackle this super easy project, you’ll be properly prepared and informed. This project shows you how to upcycle old book jackets into gorgeous, unique wall art for a playroom or a nursery. If you love books and reading to your children, this project is for you! 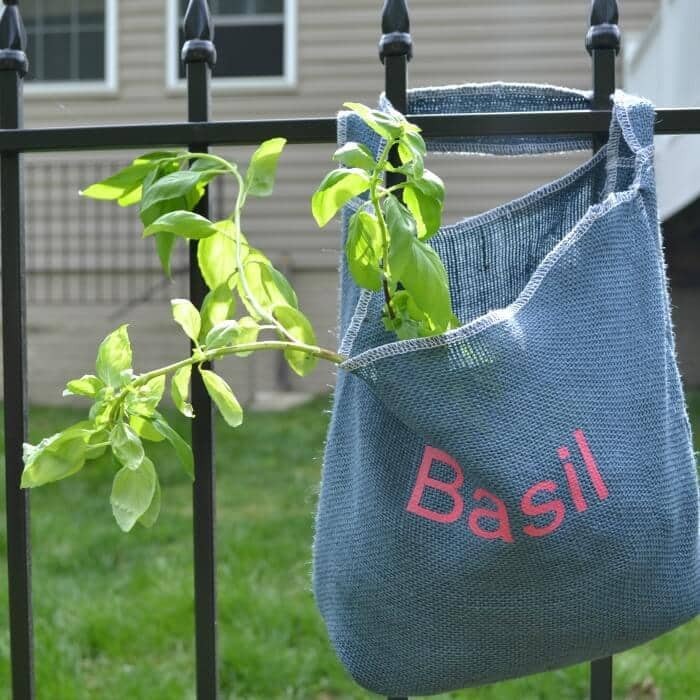 These hanging herb bags are easy and quick to make, but offer a great alternative to plastic containers. They can hang off a fence which keeps them out of reach of invasive weeds and pets. 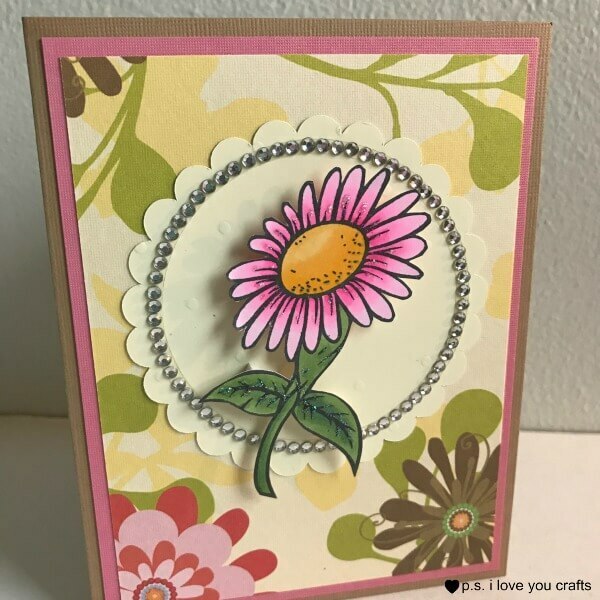 This All Occasion Daisy Card will surely brighten someone’s day. The layout of this card can be easily copied to suit whatever type of card you would like to make. Change the supplies to match the occasion you want to celebrate. Making greeting cards is such a wonderful hobby. It’s a great way to relax, and with all of the technology, your friends and family would love to receive a handmade creation from you in the mail. These gorgeous scallop shell trinket dishes would make a fantastic Mother’s Day gift. 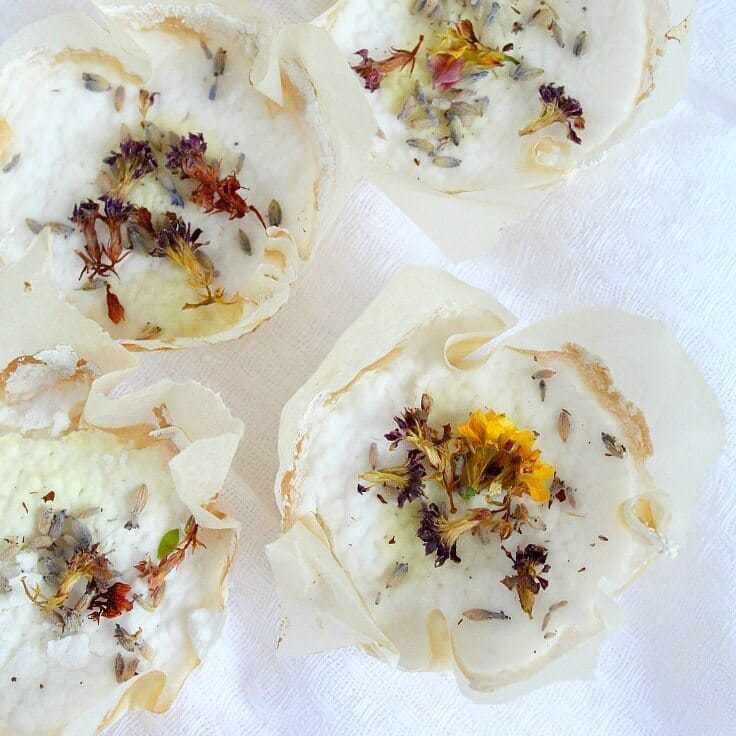 These unique dishes are made by using discarded scallop shells. They are so easy to do and are truly adorable, they would definitely make a lovely present. 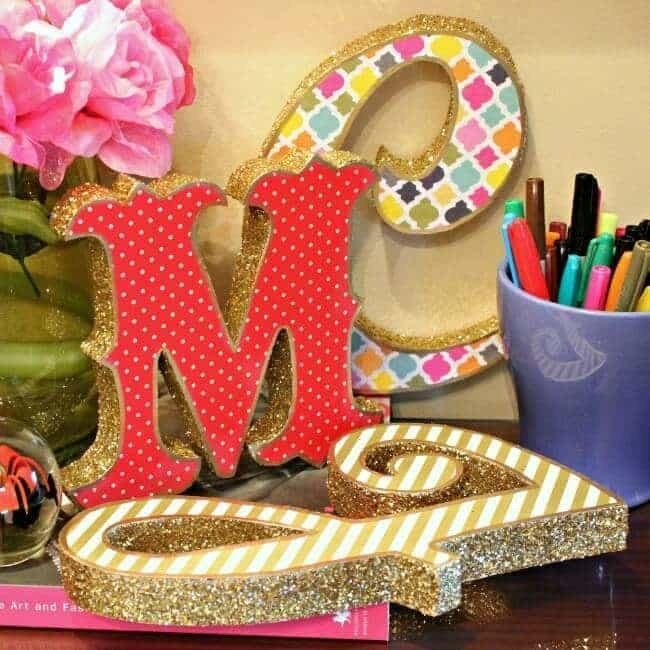 Turn discarded styrofoam into beautiful 3-D letters with this simple technique! 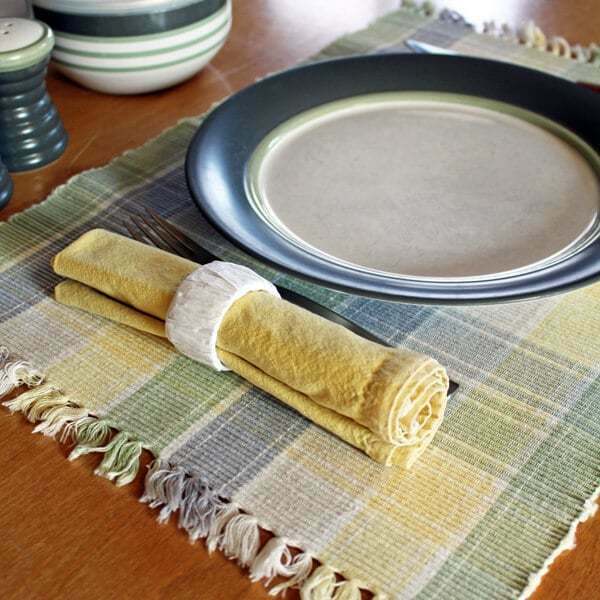 Cover them in your favorite papers or fabrics to match your decor. It almost looks good enough to eat! 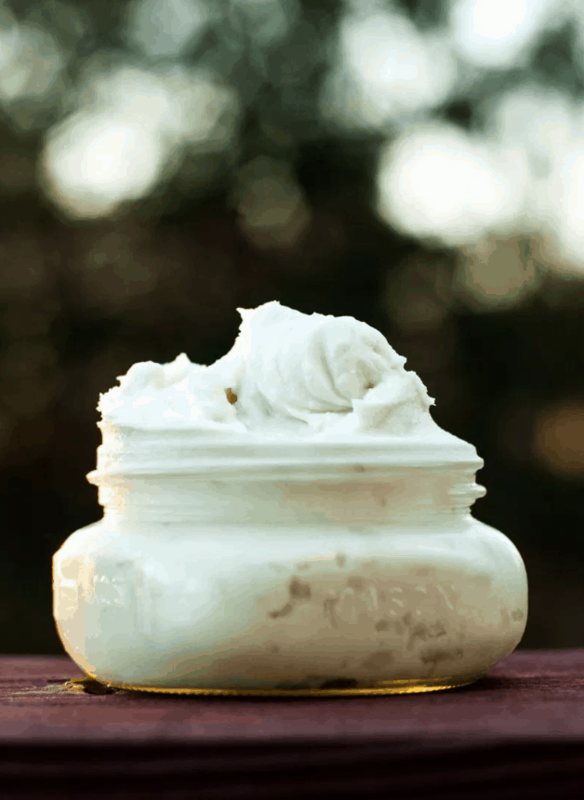 This body butter uses a combination of oils – including shea butter and essential oils – to nourish your skin. 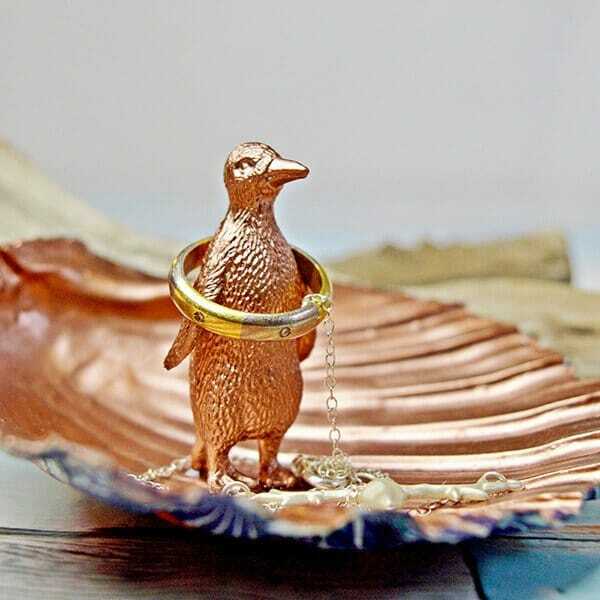 It makes a luxurious gift! 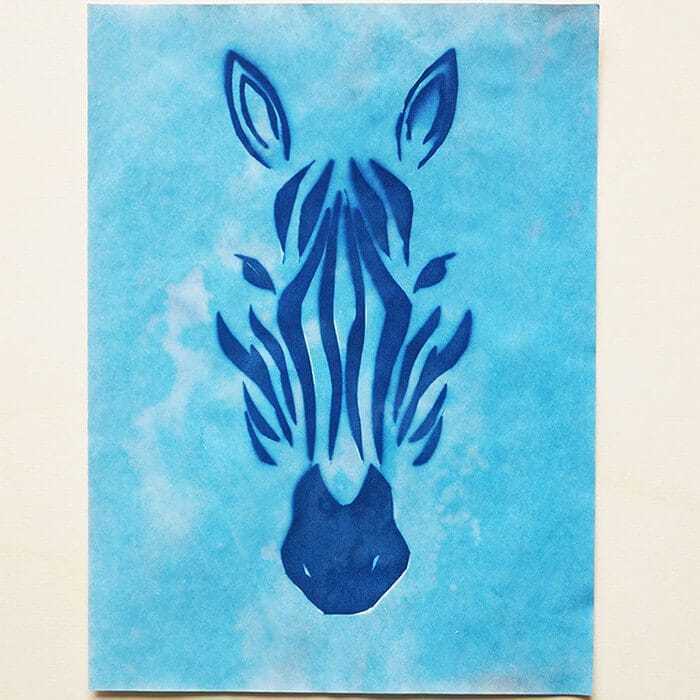 To do this home craft idea, you need special paper for cyanotype and here is how it works: You place an object or a negative on a sheet of sun sensitive paper, put it outside for a while in the sun and afterwards in some water. Next a picture of your object will appear. Very cool! Turn dollar store items into a beautiful, museum-worthy display! The perfect project to start your very own curiosity cabinet. Transform those plastic colored eggs into trendy, chic spring decorations that only look expensive! All you’ll need is some gold spray paint, newspaper and decoupage glue. 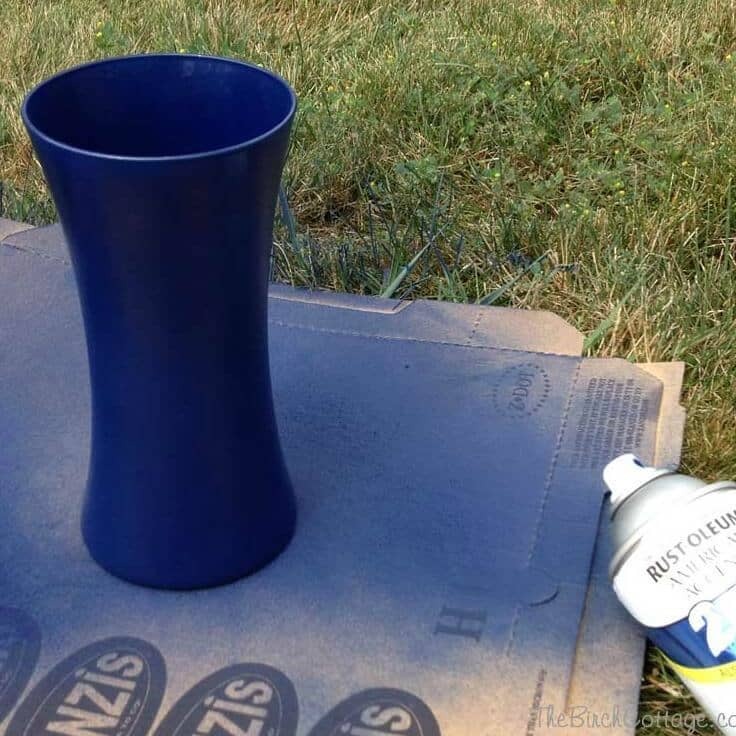 It’s a super easy DIY project that anyone can do! Hosting a kids birthday party or dress-up soon? 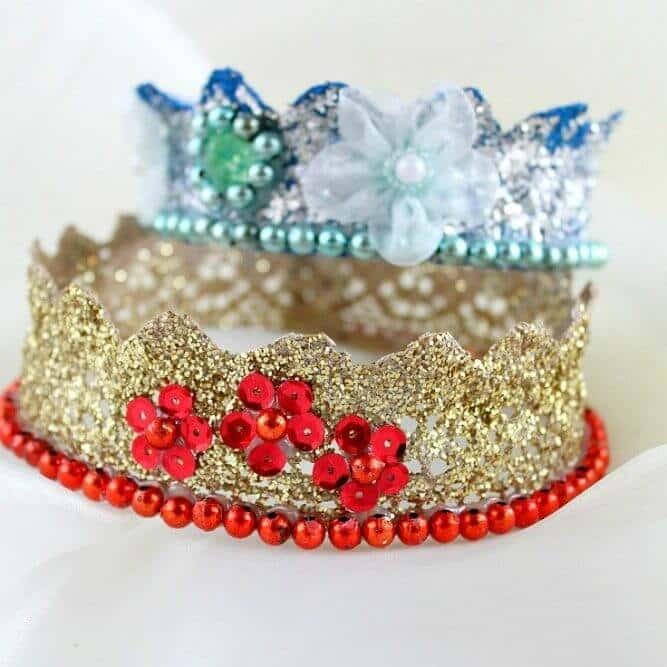 Make the little girls happy with this DIY Lace Crown tutorial! 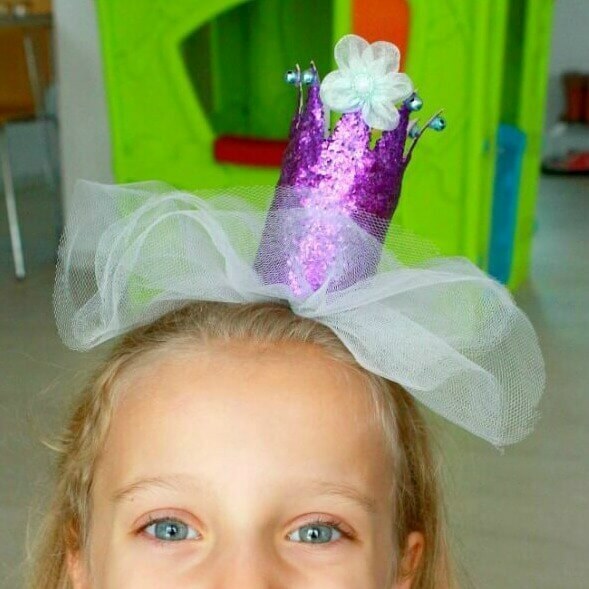 A must for every princess, these crowns are fun and simple to make! Turn scrap wood pieces into beautiful carved wood printing blocks with a simple Dremel tool. Paint them to display or actually use them to stamp your beautiful designs on everything from clothing to table linens. 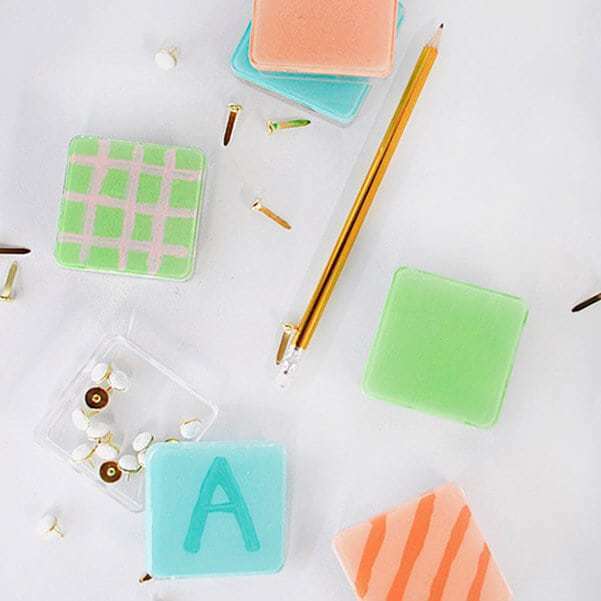 These Painted Acrylic Boxes are the perfect easy DIY craft for staying organized. Only a few simple steps to create and you are left with pretty storage boxes! Make the little girl in your life feel just like a princess with this adorable DIY princess crown! It would also be a great addition to a birthday party! This clock is part retro and part rustic DIY. 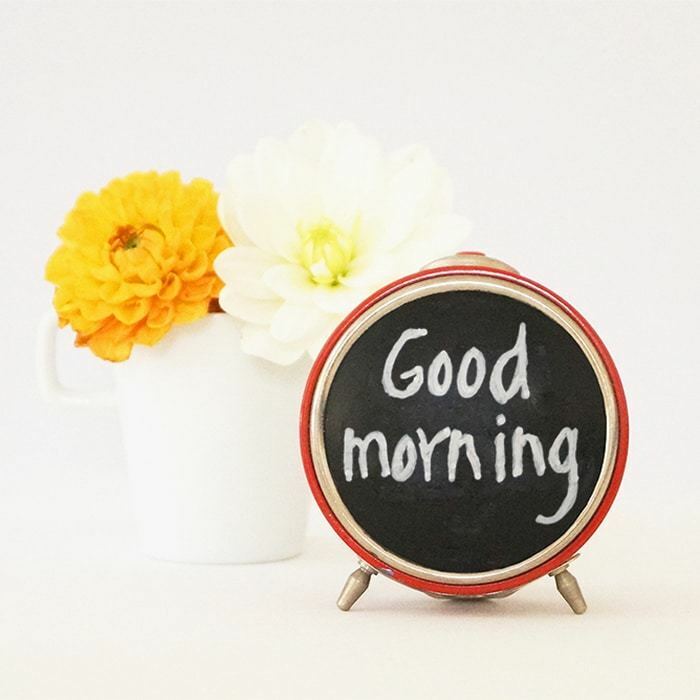 By upcycling old alarm clocks, your mornings will be a lot more fun! 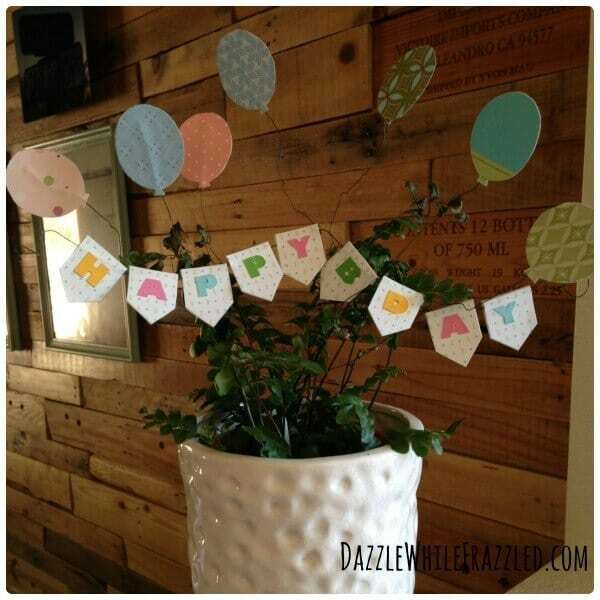 Bring good birthday vibes your way with a Happy Birthday Plant Stake created from colorful scrapbook paper and floral wire. Gussy up an indoor plant or use as part of your birthday centerpiece and let the celebrations begin. Need a place to safely carry all your pencils, crayons and markers? 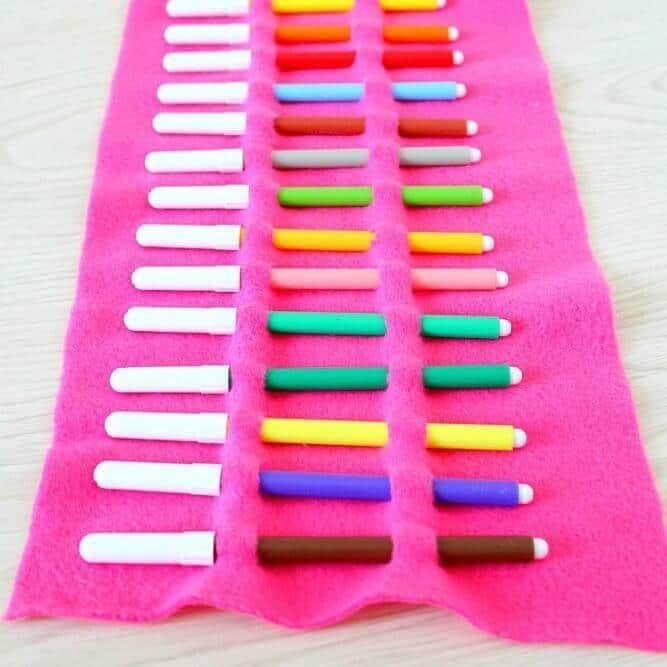 This no sew pencil roll is a super easy project and great to make with kids! Looking to create a fun party skirt without much fuss? 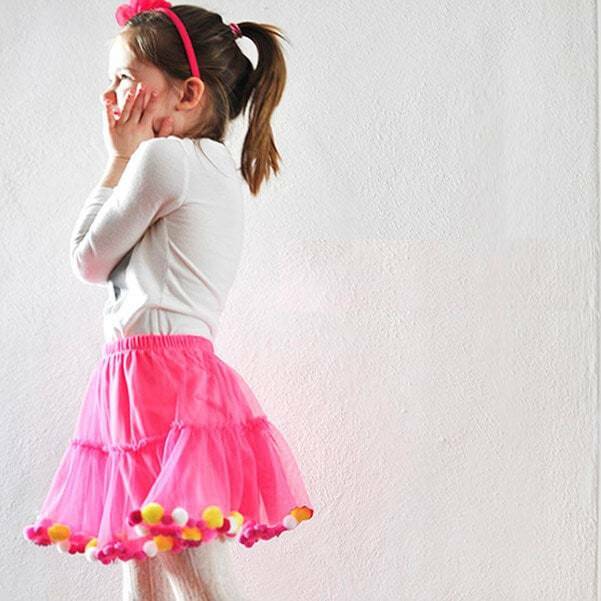 Try this adorable NO SEW Pom Pom party skirt. It’s perfect for a fun event or playing dress-up around the house. 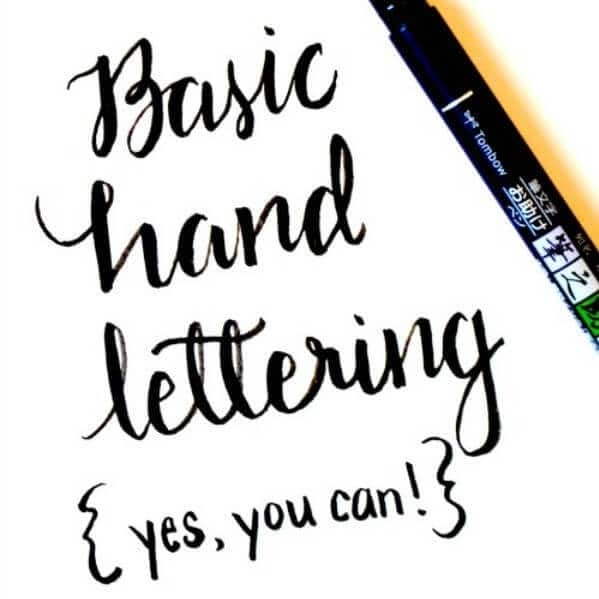 Believe it or not, you can learn to create beautiful hand lettered projects. All you need are a few basic supplies and this tutorial will get you well on your way to making a masterpiece! 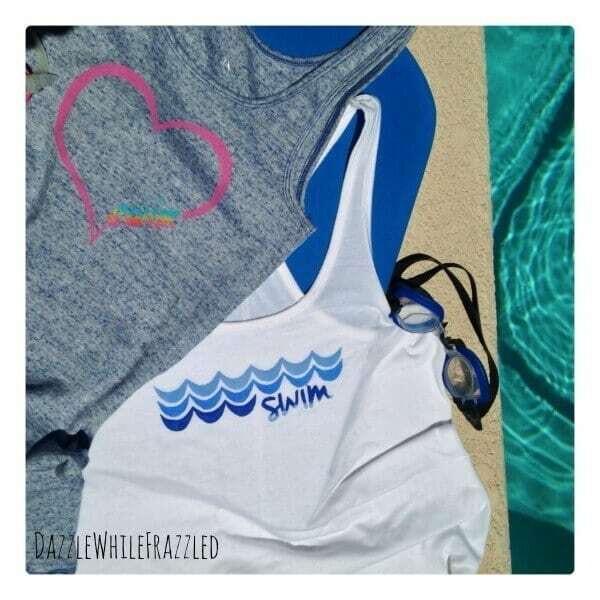 If the kids are out for the summer then it means that swim season is upon us. If you are the carrier of wet bags or swim meet chauffeur, you might as well have a t-shirt that says so! There you have it! Almost an entire month’s worth of craft ideas. Plenty of things to keep you and your kids busy and making tons of memories too. 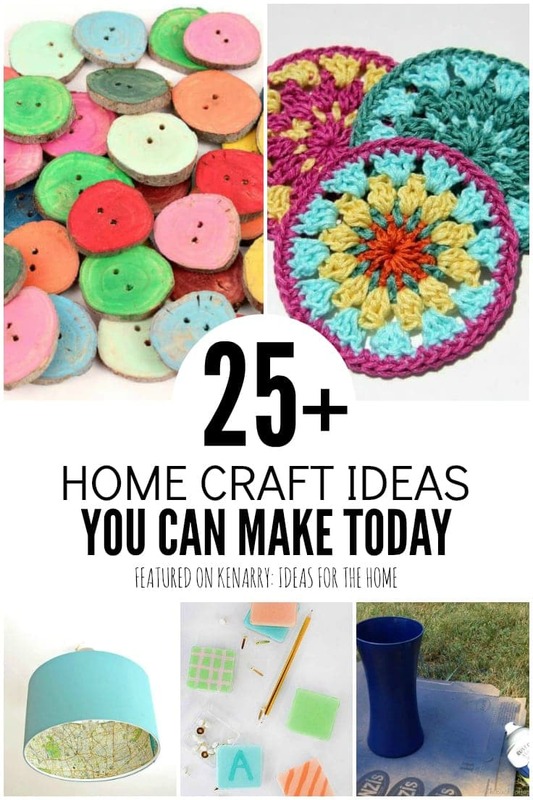 Here are some more DIY home craft ideas too! DIY Fabric Garland – No sewing required!